Karmel Jäger is the alter ego of classical mezzo-soprano, Carmel de Jager. 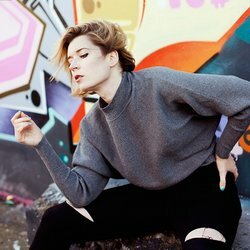 Newly turned electronic producer/ singer-songwriter, she has been honing her sound for the past year and is ready to take it out of the bedroom and onto the dance floor. Recently moved back to Sydney from London, Karmel has been singing across Europe and working at a session singer for blockbuster movies, TV shows and video games at AIR and Abbey Road Studios, with credits including Jurassic World, Sherlock and World of Warcraft. Karmel is particularly inspired by the rise of the female producer, and looks to people like Elizabeth Rose, Alison Wonderland and Alice Ivy to guide her path. Karmel made her Brisbane debut this year as part of City Sounds, where she dropped her first solo-produced track, Back Of You. The single has been receiving airplay on community radio and reached #2 on the Triple J Unearthed Dance Charts and #7 on the Electronic Music Charts. Karmel's second single Trafalgar Square is due to be released in late November.